ZANDO Designs building projects include both major additions to existing structures as well as “ground-up” construction of new homes, while always incorporating Libby Zando’s keen sense of design, space and functionality and unswerving attention to detail. 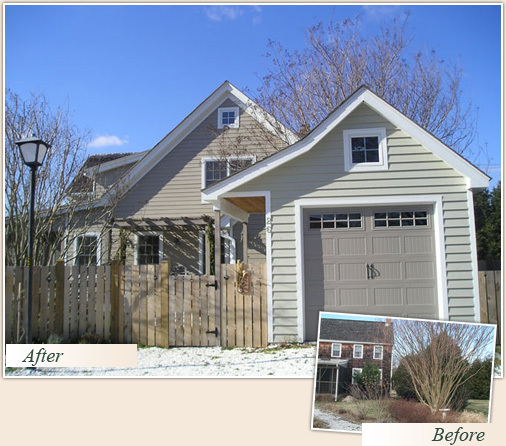 The Lewes homeowners wanted to expand their historic home, built circa 1840, to include a substantial two-story addition and an expanded kitchen as well as two new bathrooms. The family, composed of three generations of amateur chefs, active adults and children, wanted to enjoy more than just their summers in historic Lewes. The design needed to satisfy both City of Lewes historic guidelines and the community Homeowners Association restrictions. ZANDO Designs successfully integrated an attractive and functional open-floor-plan layout that also met the necessary criteria for historic review approval. ZANDO Designs, as general contractors, oversaw this extensive project, carefully monitoring and completing the work on time. In the process, they became good friends of their clients, who now share many seasons of family memories in their renovated home. Thanks to the creativity and experience of ZANDO Designs, their home is also an attractive addition to the neighborhood. Libby’s talent for design began with thoughtful listening … to our needs, preferences and life style, and financial and time limitations. Her creativity turned that information into a beautiful and functional plan for our addition." ZANDO Designs also designs and builds a variety of smaller ancillary structures including garden and tool sheds, garages and outdoor showers. ZANDO Designs designed and constructed the distinctive twin carriage-style homes in the new Milton neighborhood, Preserve on the Broadkill. The challenge was to provide privacy, light and practical and attractive open spaces, both inside and out. The great room and gourmet kitchen look on to a private courtyard garden and charming screened porch enhanced by an antique stone wall. Libby Zando was inspired by traditional Cape May style houses, many arranged twin-style along brick street fronts. ZANDO Designs craftsmanship, unique design and quality materials set these homes apart from others in the market. CLICK HERE FOR MORE INFORMATION.